Photo courtesy of Maddy Eschholz. 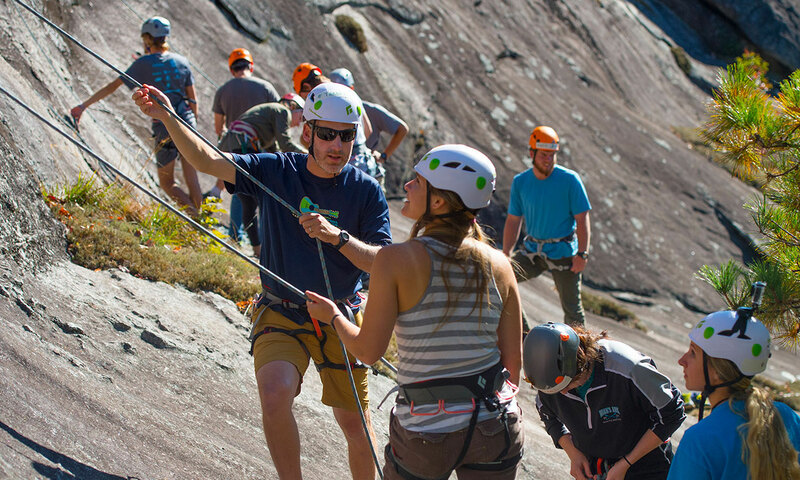 I was on the NOLS course, the Semester in the Rockies, to help me gain perspective and take some time to figure out what I wanted to do after I graduated college. I signed up for the course not knowing exactly what to expect but open to everything I would experience. 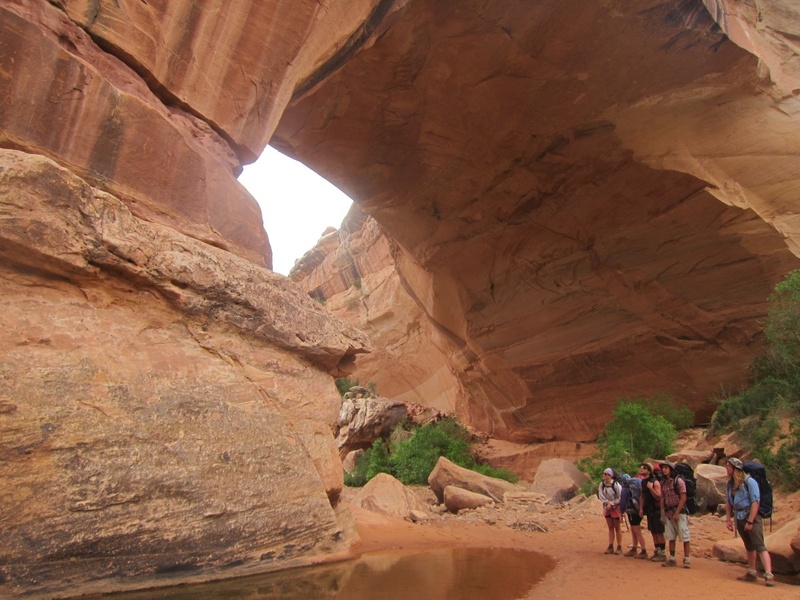 Hiking in the canyons was the last section of a semester that had included mountaineering and whitewater river paddling, but the canyons were unlike anything we'd seen. 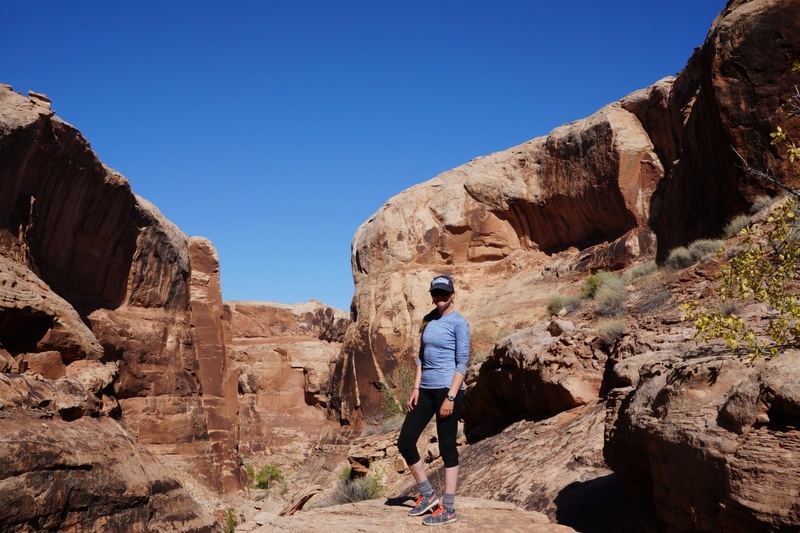 For one, there were extra obstacles compared to backpacking, such as rappelling down cliffs and, as I'd just learned, swimming through ponds on the canyon floor. After swimming through that icy pond, I’ve never felt such a lack of confidence. My fight-or-flight response kicked in, my heart rate spiked, and all I could do was flail my arms and legs, hoping that there was sunshine on the other side to warm me. I wasn't who I wanted to be in that moment. I wanted to be able to do challenging things without feeling that sense of panic wrap me up. I wanted to be the girl who was fearlessly confident. I wanted all of these things, but I knew that this was my reality and I needed to keep going. Mountaineering in Wyoming. Photo courtesy of Maddy Eschholz. I didn't do it gracefully, but I did it. When my group and I got to that pond, there was no way out. I had a 50-meter swim and a couple of miles between me and wherever I was going to be able to get into my sleeping bag. I wouldn't be able to get comfortable until I put on my big girl pants and took some deep breaths. Sometimes, when you come to an obstacle you can sidestep it and pretend that it doesn't exist, and sometimes the only way out is through. Being in the backcountry forced me to face an obstacle head on and push through no matter how hard it is. 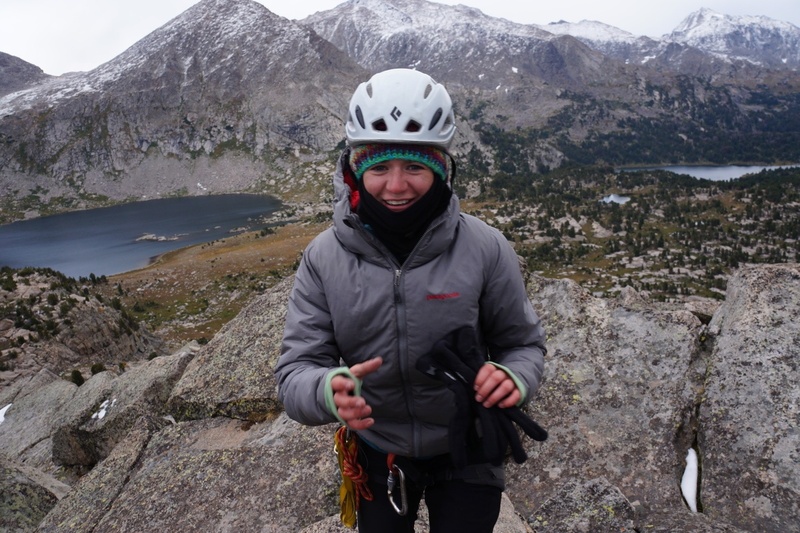 During the first section of my course we spent 25 days mountaineering in the Wind River Range in Wyoming. We had beautiful weather for the first 15 days, but for the last 10 days it snowed and didn’t stop. None of us were prepared for snow, and I couldn’t feel my toes for most of those 10 days. I wanted to give up, I wanted to go home where I could feel my feet and not have to sleep with two hot water bottles in my sleeping bag. Every day I knew that I had to be persistent and keep moving forward if I wanted to stay warm and get to our next destination. For maybe the first time in my life I didn't give up on myself. I wanted to be there and I wanted to fight to be the person I know I’m capable of being. After suffering from debilitating depression for years I wanted to be alive, truly alive and living. That icy pond in the canyons made me want to fight to be alive. For the first time, I loved my life. 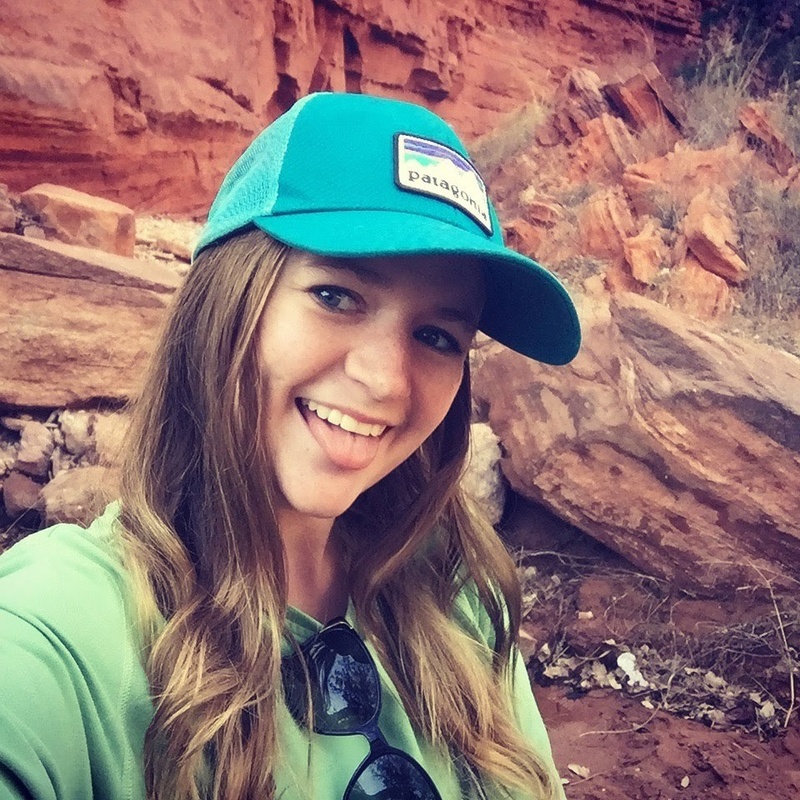 I wanted to be confident in taking chances, like apply for jobs or take a spontaneous road trip (which I did when I got home from my NOLS course). It's funny how sometimes the worst situations can lead to the most introspection and the best memories. It's funny how it took a puddle full of freezing water at the bottom of a canyon in the middle of Utah to start fighting for myself. It lit a fire inside of me so bright that I’m going to work to keep lit even in the darkest times. Over the course of the three months that I was in the wilderness I learned a lot about myself and about resilience. One of those things is that everything scares me. And that's okay. It's okay to feel afraid. I was scared of river crossings because the wet rocks were slippery, but then I learned to trust my boots and my trekking poles. I fell for the first time and had my new friends around me to pick me back up while I laughed at how I was worried about that happening. What's not okay is letting fear stop you from doing anything. The only constant over my semester was that I knew I would be uncomfortable at least once every day, whether it was walking on technical terrain with a huge backpack, being in close proximity to terrifying-looking spiders, or just sleeping in the cold. There were some days I dreaded, but I was able to push it away and get out of bed, get dressed, and breathe through it. I don't know if I would've found that fire if I hadn't forced myself to become comfortable with being uncomfortable. After I took some time warming up beside the pond, I got up, put on the rest of my dry clothes, and got my pack on my back. With the tears dried on my face I laughed at how much effort I put into being miserable for 50 meters of cold water. I pulled out the bag of Skittles from my pocket that I had been saving for a hard day and passed it around so everyone could have a few, because it wasn't just me who was wet and cold. And now that I'm home, I know I’m equipped with the knowledge that I am strong. I am persistent. I am capable. 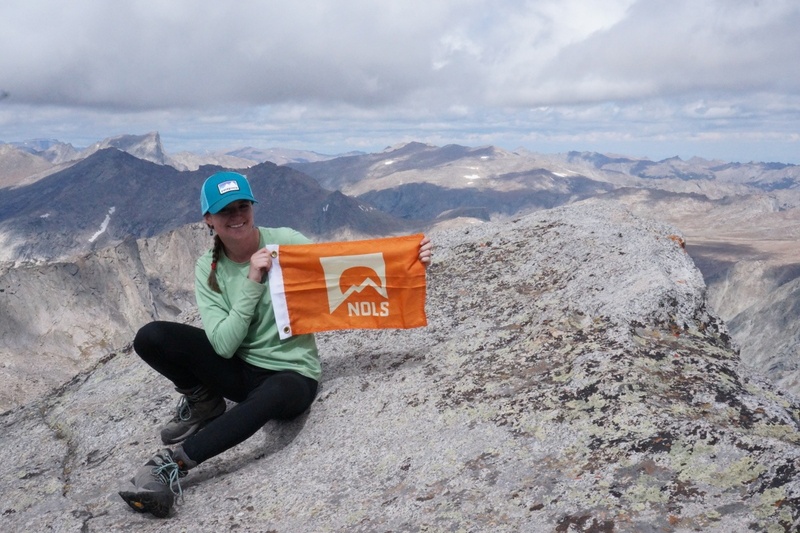 Go to the wilderness on a NOLS semester.